Blockchain is a term that has made an outstanding career in recent years. There are more and more texts about how important it has become and how much more important it will be in the future. A few publications, however, show what the blockchain is really all about. So what is hidden within the technology that is supposed to revolutionize human life? The basic advantage is the non-repudiation of the data that is recorded onto a blockchain. It is easy to imagine the way in which blockchain would make the functioning of the Social Insurance Institution more efficient. Changes in law are necessary to maximize the benefits of the new technology. It is no coincidence that cryptocurrencies are almost always associated with blockchain. Virtual currencies have become the first practical application of blockchain. This technology, the theoretical basis of which was outlined in 1991, has been monetized in 2009 with bitcoin. - One of the newer phenomena with high potential growth prospects is the use of blockchain technology. I do not mean cryptocurrencies, but a system used to record information that has features of non-repudiation - says Roman Szwed, President of the Management Board of Polish IT company Atende. Blockchain could be used to a wider extent than cryptocurrencies. It is all because it is a breakthrough in the security of collecting, storing and using digital data. Today, they are usually centralized, that is, collected on a disk or server, which can be subject to cyber attack or even physical interference. Even if we copy our data and store them in many places, it is difficult to ensure their simultaneous and reliable update. All this means that you cannot have full confidence in digital data. Of course, institutions such as banks are constantly working on securing and improving information systems that use customer data. This, however, requires considerable expenditure, and still does not exclude the creation of loopholes that cybercriminals can use. In this respect, the breakthrough technology seems to be blockchain which, according to the assurances of its precursors, is an ideal database - decentralized, available to anyone and resistant to manipulation. - The blockchain technology ensures that we can store copies of relevant data anywhere in the world - explains Kamil Gancarz, Chairman of the Board at Blockchain Development Foundation. The Internet consists of distributed computers and servers. Imagine that some of them start building their own network, where participants store data blocks. They are grouped into chains. You can add only one block to each block and it cannot be removed or replaced. This is guaranteed by the fact that every new record is tracked and authorized by all computers in the network. If most of them determine that the record is unauthorized (e.g. a proper key was not used), they will reject it. The correctness of created records is almost completely guaranteed. They are irremovable, so if their content is supposed to be an element of any fraud, even economic, it can be verified at any time. Manipulation is possible practically only if more than 50 percent of the nodes in a blockchain network are in hands of one person or perform someone's instructions. This is possible in theory, but according to the current practice it is almost unachievable, if the network is large and dispersed. Each user of the blockchain technology has two keys: one public and one private. The first one allows you to trace your set of blocks, while the second authorizes operations that are carried out in that set. Due to the key's unique nature, we have a guarantee that no one will be able to add anything to our blockchain. Of course, only if we properly protect the key against theft. Thus, blockchain is a distributed database that allows you to save and track resources within a network built by its users. Blockchain reaches all network users and is verified by them. High resistance to forgery and certainty that all of your data will be preserved mean that blockchain can simplify and reduce the costs of many activities. Individual blocks may contain various data: invoices, vehicle registers or even applications. The latter in the form of the so-called smart contracts can conditionally perform certain operations. For example, if we used blockchain in the Social Insurance Institution, we could use it to save our retirement savings and an application that would automatically start their payment once we reach the retirement age. Money saved for this purpose could no longer be spent for other purposes. At this point, it still looks like science fiction, but the increasing spread of the blockchain technology can mean that at some point the Social Insurance Institution will have no choice but to use it. You can easily imagine the benefits of using blockchain in health care. Each patient has a medical history. These data are usually kept by the medical outpatient clinic to which a patient is registered. The problem arises, however, when we get sick outside the place of permanent residence. In this situation, it would be useful to have the patient's medical history collected using a blockchain network. It would be unquestionable and available from anywhere on the globe with access to the Internet. The first platforms of a medical blockchain already exist in the United States, but its wide use by patients is yet to come. The unquestionable data will also be useful for the creation of a will. If we prepare it using the blockchain technology, then the notary or court will no longer need to confirm its legality. 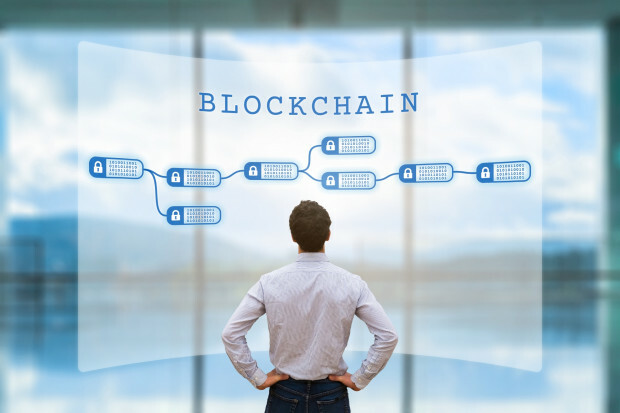 There are a few professional groups, such as lawyers and notaries, that may lose a lot if the blockchain technology becomes widely used. It can provide automatic performance of various types of contracts. This would influence most brokers operating in various industries. After fulfilling specific conditions, smart contracts in the form of applications can independently perform certain activities. They actually act like traditional paper contracts, but allow automation and speeding up of related processes. For instance, if you buy a car, at the time of making the payment, the vehicle is automatically re-registered and the new owner receives an access code (that can be treated as the successor to the key). Therefore, you do not have to go to any offices, fill out any forms and worry about the obligation to pay fees. A similar case may be encountered when buying a property. It is enough to pay the money, and the entry in the real estate property records will be made automatically. Such solutions will, of course, be possible when the administration starts to use the blockchain technology. For now, legal solutions are not keeping up with the new technology, but the authorities of many countries, including Poland, declare their readiness to change this situation. If they are consistent, we may soon make transfers without the involvement of banks, buy properties without notaries, or choose new authorities without leaving our homes.